Rocco Baldelli has finalized his 25-man roster as the Twins prepare for Opening Day against the Cleveland Indians. The team is keeping two catchers, five infielders, four outfielders, two utility players, one designated hitter, four starting pitchers and seven relief pitchers. Here they are position-by-position. Castro is the everyday starter while Garver can provide some pop off the bench, although penciling him in as the starting catcher against left-handed pitchers probably won&apos;t be the case considering Garver hit just .227 against southpaws last season. Willians Astudillo could be the man for the job when lefties are on the mound. Fresh off a 30-homer season with the Rays, Cron is the starter at first base. 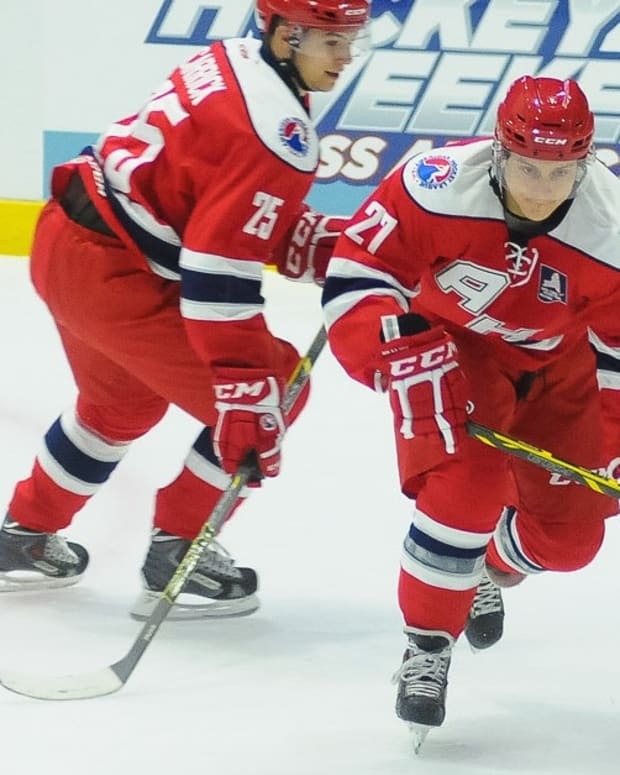 Austin made the team and provides some serious right-handed power potential off the bench. Schoop had a down year in 2018 but was fantastic in 2017 with the Orioles when he hit .293 with 32 home runs and 105 RBI. If he can bounce back to his All-Star season of two years ago, the Twins are going to have a stud in the bottom third of the batting order. 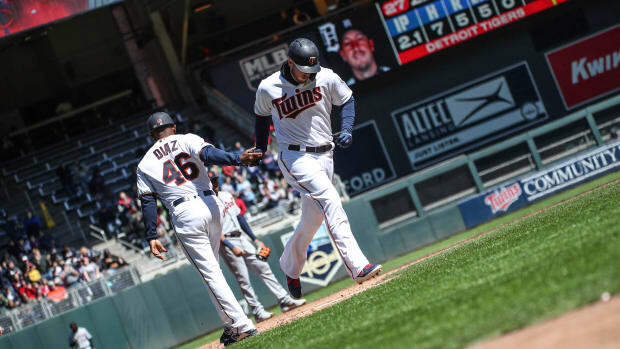 Gonzalez was a late signee this spring but it came at the right time as he&apos;ll fill in as the everyday third baseman while Miguel Sano recovers from a heel laceration. The switch-hitting Gonzalez will hit in the middle of the batting order. There were some questions about Polanco&apos;s arm fatigue this spring, but Baldelli says the shortstop is ready to go. Polanco recently signed a contract extension and could be due for a breakout season. Rosario was Minnesota&apos;s best player in 2018 and could be primed for bigger things if his spring was any indiction. He slashed .326/.333/.652 with four homers and 14 RBI this spring. 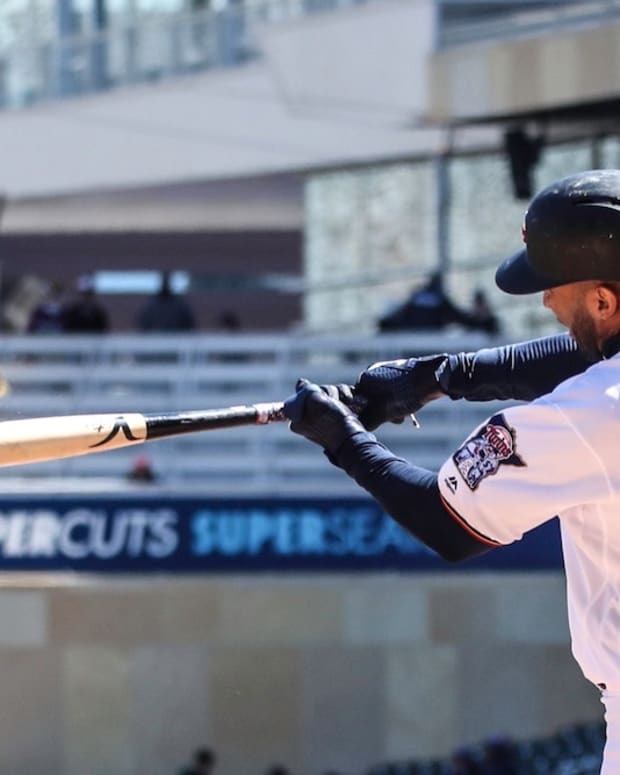 Buxton and Kepler also dominated this spring, and if it carries over to the regular season the Twins could have one of the most talented outfields in the big leagues. An annual lock for 30+ homers is Cruz, whose "Boomstick" nickname will be featured in the heart of the batting order and in the concessions as a 2-foot-long chili dog at Target Field. Fan favorite Astudillo made the team out of spring training because of his versatility, as did Adrianza who can play all over the infield. By the way, Astudillo didn&apos;t strike out at all and he walked just once this spring. It&apos;ll be a four-man rotation the first few weeks of the season until the off days dwindle and Martin Perez joins the starting rotation. It&apos;ll be interesting to see if Perez and Mejia are used as openers at points during the season, or if they&apos;ll give someone like May a chance to open a game before replacing him in the 2nd or 3rd inning with a primary pitcher, which Perez and Mejia make for ideal candidates. Who&apos;s the closer? Good question. We&apos;ll have to wait and see how Baldelli approaches things. Four players are also starting the season on the injured list: Miguel Sano, Matt Magill, Gabriel Moya and Addison Reed. By bullpen, we mean Adalberto Mejia. One of the first people Rocco Baldelli called was Joe Mauer. Baldelli is 37 years old and this will be his first time as a manager. ByungHo Park had a huge spring but it wasn't enough to earn a spot on the Opening Day roster.